Heading out on another crazy expedition with your buds, you tend to take things to the extreme, especially when you travel the treacherous terrain in your Yamaha YXZ or Polaris RZR. Wherever you venture to, off-roading can be risky business, which is why you need the right protection to keep you safe from harm! You've come to the right place when you shop here at Side By Side Stuff with our wide selection of protective gear for both you and your favorite UTV. 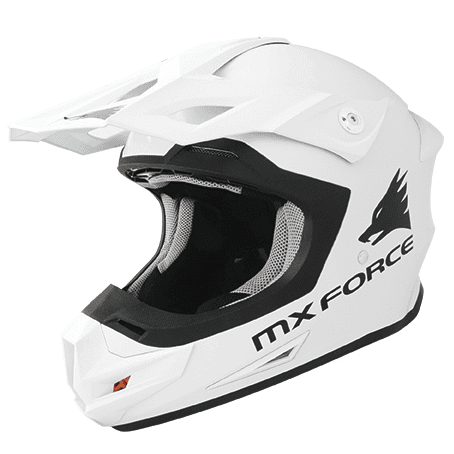 With the MX Force MHM39 White Helmet as one of these awesome options, you'll be ready to hit the trails at full force without worry. With 17 intake and 7 exhaust vents, you'll be able to enjoy a breath of fresh air even in a cloud of your own dust ball! 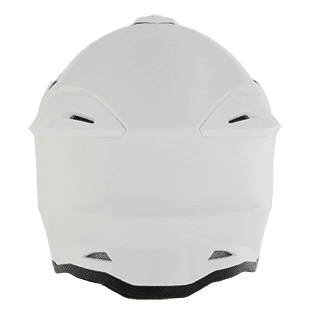 Its engineered shell come complete with a broad peripheral visibility, along with a hi-flow mouth vent and integrated roost guard for added protection. The EPS canalized liner offers considerable ventilation and can be removed to wash for long-term usage. 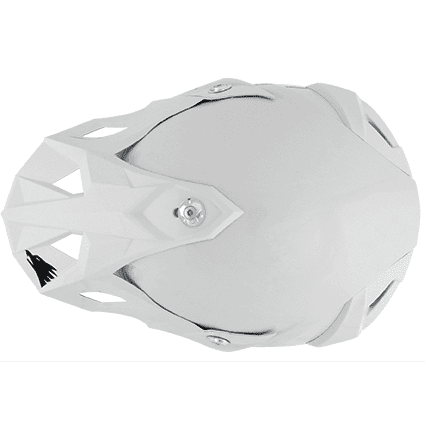 These features, along with an adjustable visor design and DOT approved rating make this helmet a must for any extreme rider out there.